Now you can live where you work!! 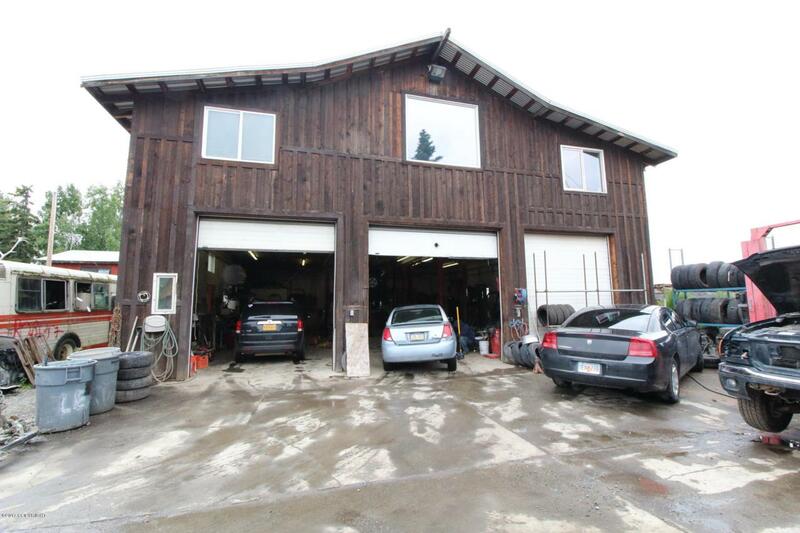 Mechanics Shop with Huge Apartment upstairs and additional vacant lot. This Sale includes Shop (lot 3) and vacant lot (lot 2) MLS #17-14531. Bottom floor is 2250 sqft shop with bathroom, waste oil burner for heat as well as infloor heat. Upstairs is 2250 sqft 4 Bd, 1 Ba Apartment with Large Kitchen, Huge Living room. 4x6 framing w/ layer of plywood on each side. Listing Office Vanguard Real Estate, Llc. Copyright 2019 Alaska Multiple Listing Service, Inc. All rights reserved.